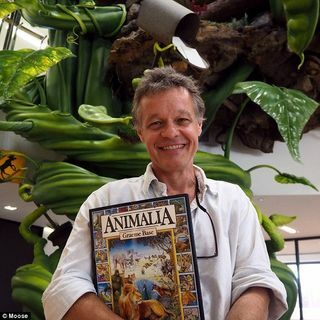 As part of the 2017 Melbourne Writers' Festival Special Reka, Sarah and Zoe are super excited to chat with renowned Australian author/illustrator Graeme Base, who's alphabet book, Animalia, has achieved classic status since being published in 1986, with worldwide sales of over three million copies. Other favourites by Graeme include The Eleventh Hour, My Grandma Lived in Gooligulch, The Sign of the Seahorse, Eye to Eye, The Waterhole, Uno’s Garden, Enigma, The Last King of Angkor Wat ... See More and more. Plus of course there are the lift-the-flap ‘Little Bug Books’ nature books. Graeme’s books have won many CBCA Book of the Year Awards, as well as other national and international awards, including Speech Pathology Book of the Year and The Wilderness Society Environment Award to name a few!